Learn more about each member of the Council here. The Association, in cooperation with the Beacon College administration and faculty, shall organize events and activities to help the alumni develop a lifelong relationship with Beacon College. The Association shall identify needs alumni may have for services from the College and shall help implement programs to serve those needs.  The Association shall also provide leadership in the areas of alumni relations, career planning and placement, and financial support of Beacon College. The Association defines alumnus/alumni in the broadest manner thereby allowing Beacon College to cultivate all individuals who may now, or in the future develop an ongoing relationship with the College. Active membership shall include all individuals who have received a degree (associates or bachelors) from Beacon College or attended for one (1) year or more excluding currently registered students. Management of the Association shall be vested in the Alumni Council, herein referred to as “the Council” and be coordinated by the Director of Alumni Affairs. A. The Council shall have as its objective the implementation of the Purpose of the Alumni Association as stated in Article II. The Council shall work in cooperation with the President of the College, the Vice President for Institutional Advancement and the Director of Alumni Affairs. B. The Council shall consist of five (5) members: President, Vice President, Secretary and two at-large members. C. To be eligible for nomination as a member of the Alumni Council, the nominee must be a member of the Association. D. Council members’ terms are for three years. * A member is eligible for two consecutive terms. Newly appointed members shall assume their terms of office at the spring meeting. Should a member be unable or unwilling to complete his or her term, the remaining members of the Council shall appoint a replacement immediately. E. The Alumni Council shall hold a minimum of two regularly scheduled meetings (Fall and Spring) each year. The Council President may call additional meetings, after a majority vote of the Council. F. In order to conduct the business of the Alumni Association Council, a majority of the Council members will constitute a quorum. Each member has one vote and must be present to vote in person, by teleconference or Skype. G. Attendance at all Council meetings is expected. Meetings may be in person, by teleconference or Skype. H. The President shall appoint two members of the Council each year to serve as the Nominating Committee. I. The Nominating Committee shall develop a slate of candidates who are qualified under these by-laws to fill vacancies that occur. The Nominating Committee shall obtain the consent of all candidates and shall offer one candidate for each vacant position. J. The Council shall distribute the names of the candidates to the members of the Association by March 15th each year. Members of the Association may supplement the slate of candidates by notifying the Nominating Committee by April 1st each year. Elections shall be completed by April 30th each year. These bylaws may be amended by submitting a proposed amendment to the Alumni Council at least 30 days prior to a vote to amend. A majority vote of the Council is required to adopt the amendment. What have you been up to lately? Share your latest doings in our Alumni Updates section. It’s fast and easy. 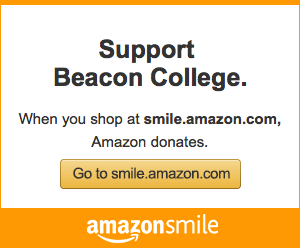 Amazon donates a portion of every purchase when you shop AmazonSmile. Sign up today.